Istanbul (AFP) - Turkey on Sunday condemned what it called Benjamin Netanyahu's "irresponsible" remarks after the Israeli leader said he planned to annex settlements in the occupied West Bank if he wins upcoming elections. "West Bank is Palestinian territory occupied by Israel in violation of int’l law," Foreign Minister Mevlut Cavusoglu said on Twitter. "Prime Minister Netanyahu’s irresponsible statement to seek votes just before the Israeli general elections cannot and will not change this fact." 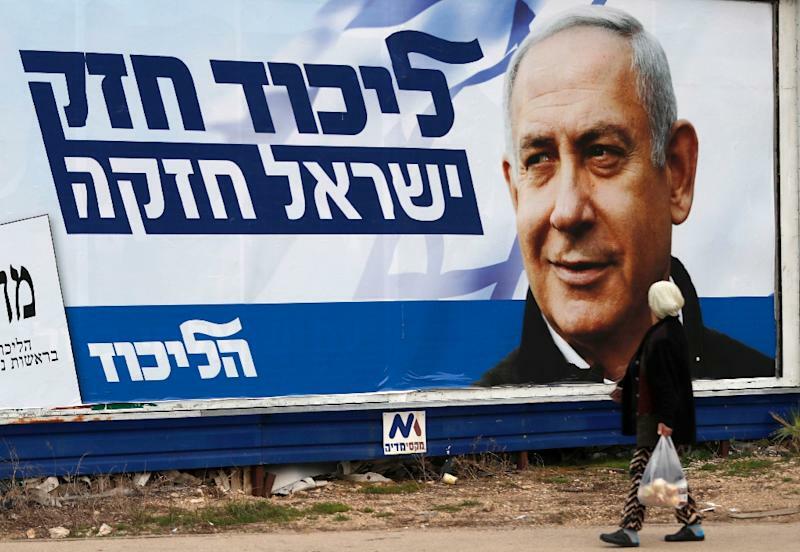 Netanyahu's comments on Saturday came just days before the closely fought polls on Tuesday and was widely seen as an appeal to rightwing voters, who do not believe in the feasibility of a peace agreement with the Palestinians. "Yet another example of how Netanyahu uses electoral politics to justify occupation and undermine the two-state solution," said Ibrahim Kalin, spokesman of Turkish President Recep Tayyip Erdogan. "If he is re-elected, will this be a triumph of 'democracy' or occupation? Will Western democracies react or will they keep appeasing? Shame on them all!," Kalin tweeted. Last month, Erdogan called the Israeli leader a "tyrant" after Netanyahu called him a "dictator" and a "joke".